Rudbeckia, The Late Summer Rockstars. If my memory serves me well, I believe it was Great Auntie Titbit Higgledy the famous Georgian circus entertainer who first grew Rudbeckias in her mobile cutting patch that she would tow behind her caravan. When she wasn’t throwing knives at apples balanced on children, balanced on blindfolded donkeys, balanced on burning wheels….she was harvesting armfuls of Rudbeckias with which she used to woo Great Uncle Slippy, the sea-lion hypnotist. 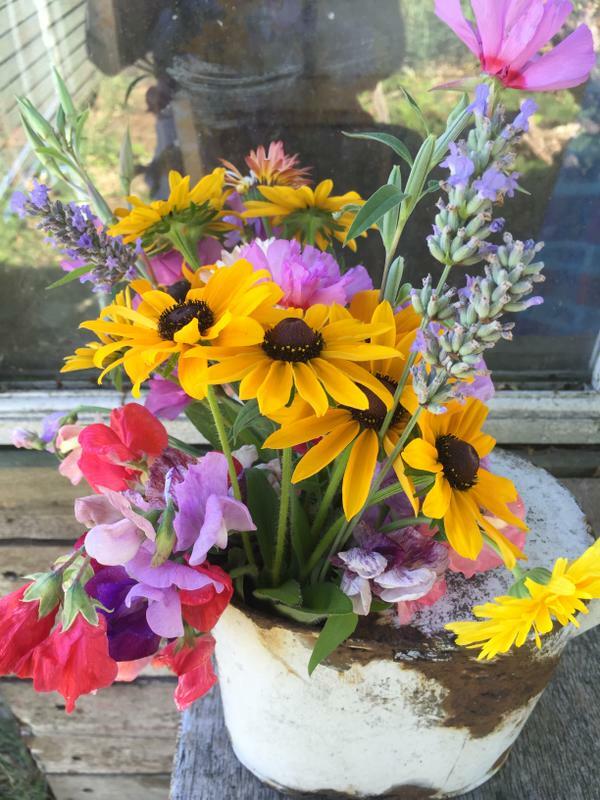 Thanks Daniel for this…I’d never thought of Sweet Peas with Rudbeckia ‘Marmalade’ but it works really well…top marks sir! 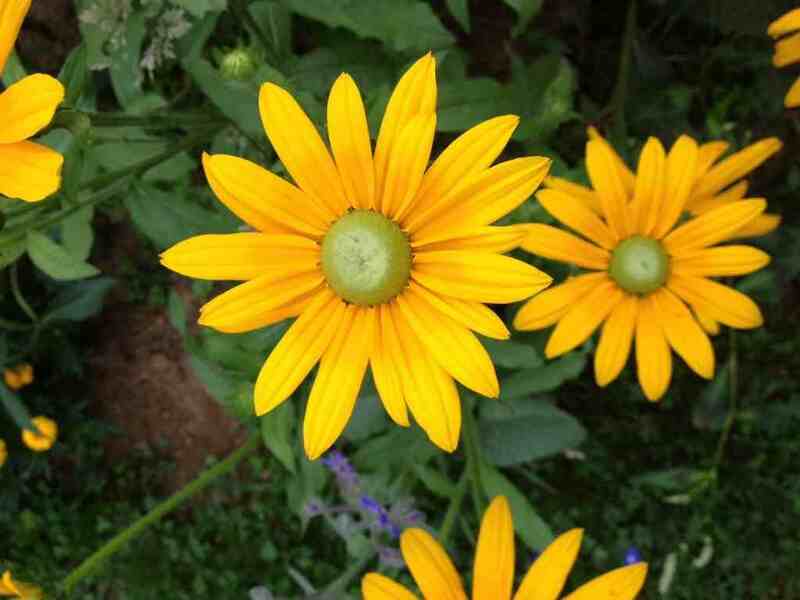 The above Rudbeckias in Daniel’s arrangement are ‘Marmalade’…one of my favs…simple….cheery and straight forward. It’s also great as a cut flower…it has heaps of flowers and strong stems. *I always sow my Rudbeckia undercover…in a coldframe…on a windowsill…in a greenhouse…or all three. *It makes life much easier if you sow in modules…or in separate three inch sqare pots. *Only cover the seeds super lightly with your compost…or use a sprinkling of vermiculite if you are organised enough to have some. This from the lovely Lindsay Brown really shows the simplistic beauty of ‘Marmalade’…spanking gorgeous! *Nearly always you/I will sow too many seeds…they are tiny and the urge to sprinkle too heavily is irresistible…but you MUST thin these out to one seedling per cell. *After about six weeks…and after the frosts have finished being boring and have naffed off back up to Lapland, then your seedlings can be planted outside. *Make sure they are planted in full sun. 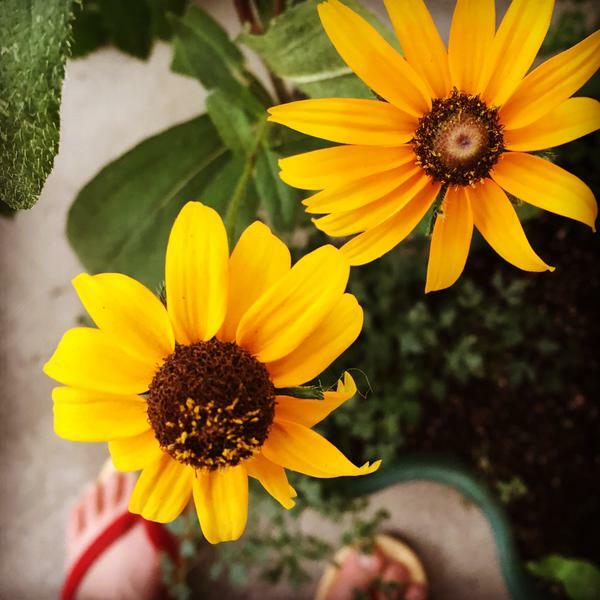 *I plant mine to a foot…or perhaps a little more apart. 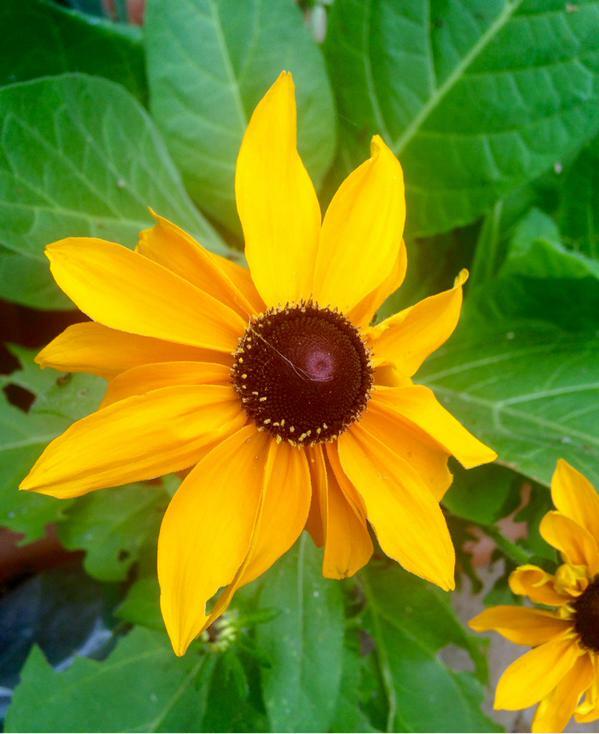 *Rudbeckia are fairly drought tolerant but they will need water whilst they are getting established. *By cutting the blooms for the vase she will produce more flowers…we like this sort of behavior. 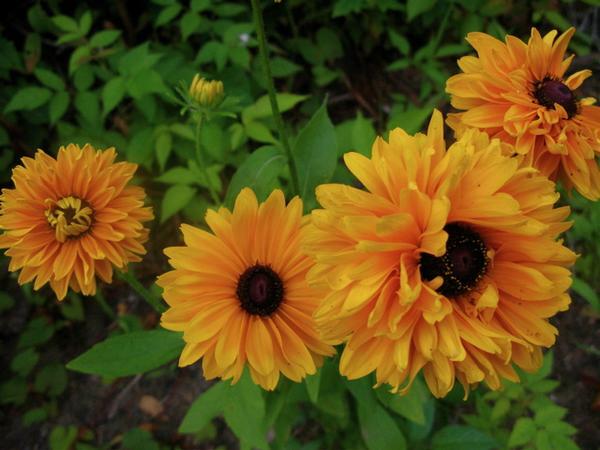 Rudbeckia ‘Goldilocks’….a shaggytastic version of ‘Marmalade’. I hope you all have a great week….happy Monday! Sunday Night Picture Show. Early August. Echinops ‘Ritro’. Perennial.